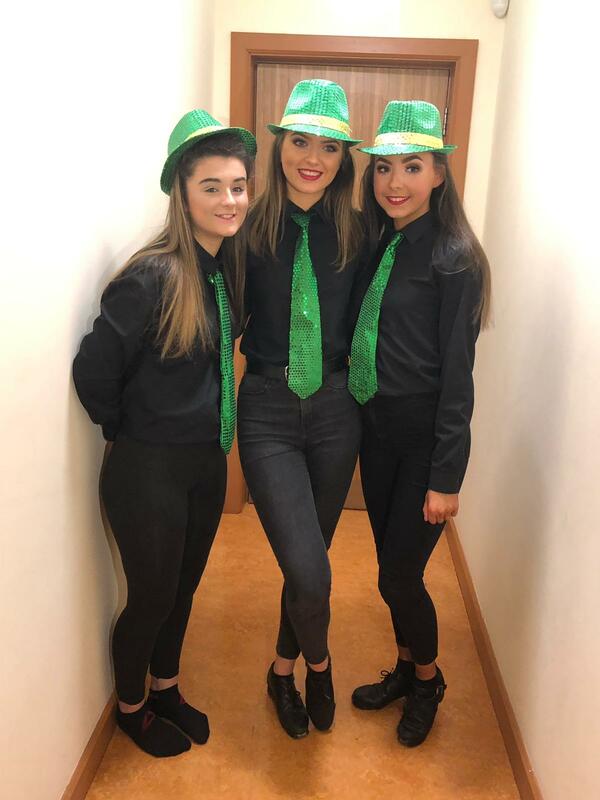 Local dancers from the Bernie O’Sullivan School of Irish Dancing took to the stage in The Carnegie on St Patrick’s Eve to celebrate our much loved Irish Culture and Traditions. Packed to capacity, the theatre filled with the sounds of the accordion, tin whistle and much, much more as young ladies and gents of this town wowed the captive audience with their musical and dancing talents. The Traditional St Patrick’s Day set dance, The Reel Around the Sun (a snippet from Riverdance as performed by the dancers in Disneyland Paris recently), Seanós Brush Dance, Céilí and Acappella dancing, were some of the highlights of the night. The beautiful dulcet tones of Kitty O’Sullivan filled the theatre with her rendition of Caledonia and Ellis Island much to the delight of the American visitors in the audience. Visitors from as far away as Texas and Massachusetts, some of whom were on their first trip to the Emerald Isle, were blown away by the show. A very talented young lady, Lucy Johnson, captured the audience with her humorous recitation depicting Ireland’s notoriety for storytelling at its finest, and it was wonderful to see our youth carrying on this great tradition. Local star Brian Finnegan delighted the audience with his powerful voice and his rendition of ‘I Am A Star’ by Christy Hennessy and many more. Brian is a true gentleman and a proud Irish man. His profound love of Irish Culture resonates in each song he sings. Caitriona Harrington treated the audience to a star performance on the harp. This beautiful instrument is known by many but heard by few and it was a real treat to see Caitriona show how this instrument is played at its finest. This spectacular show will perform weekly in The Brook Lane hotel for the summer and offers a wonderful nights entertainment, with some excellent dinner and show packages on offer though the hotel.